In this series of vSphere Replication we have successfully deployed the vSphere Replication Appliance & Integrated vCenter Server into vSphere Replication. 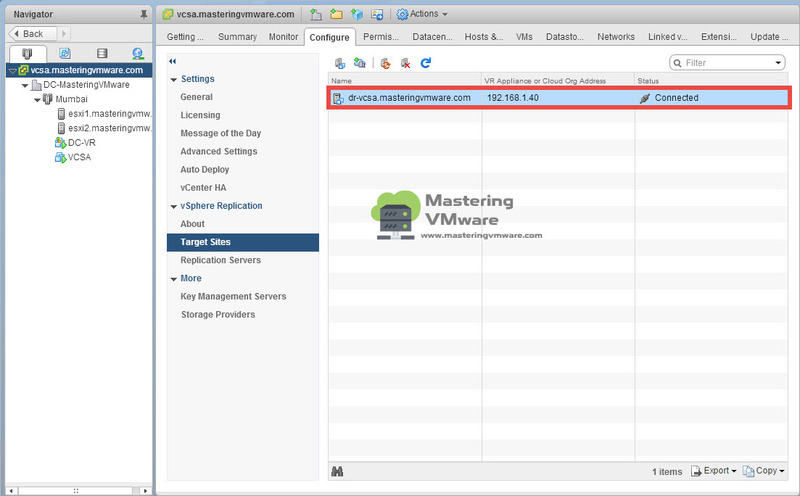 In this post we will see on How to Add Target Site in vSphere Replication. 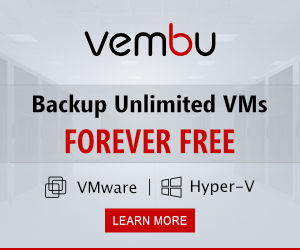 Target site can be any DR Site which you have configured for replicating the VM’s. 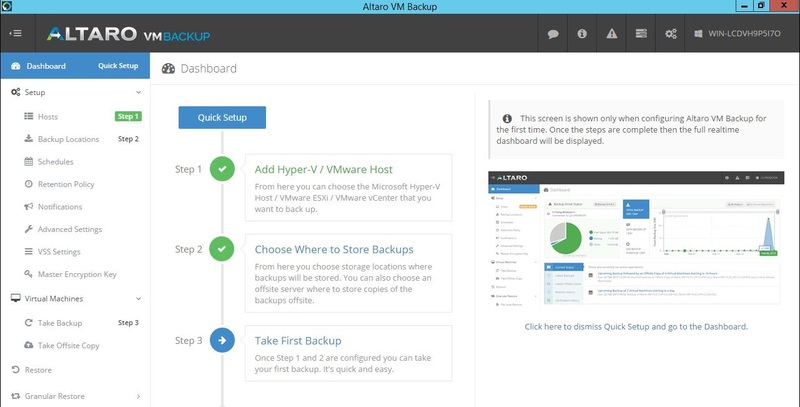 Before adding Target site make sure you have installed the vSphere Replication at Target site also. 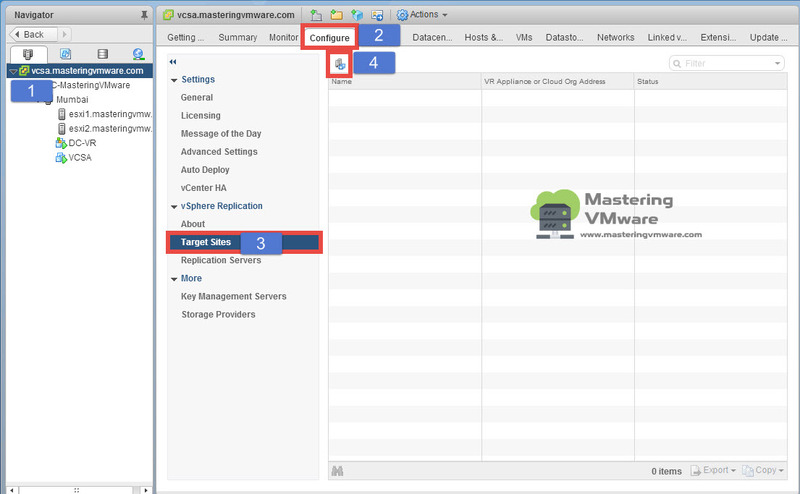 Expand the vSphere Replication and select the Target Sites. Select the Icon as shown to add the Target site. 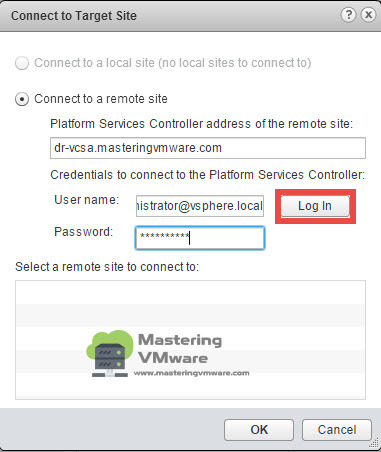 Provide the vCenter Server details of the Target site or the DR Site. You will see the Target sites below. Now you can see the Target site in the list. You can add more then 2 Target sites also. That’s it we have successfully added the Target site in the vSphere Replication. 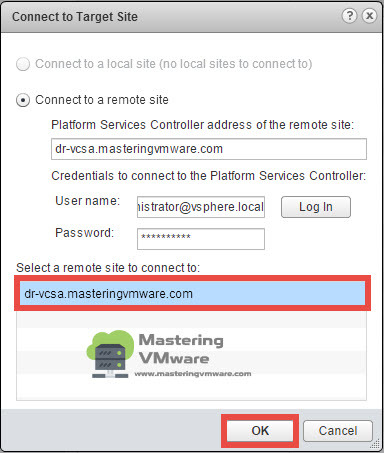 In the Next post we will see on How to Replicate VM’s from DC site to DR site. 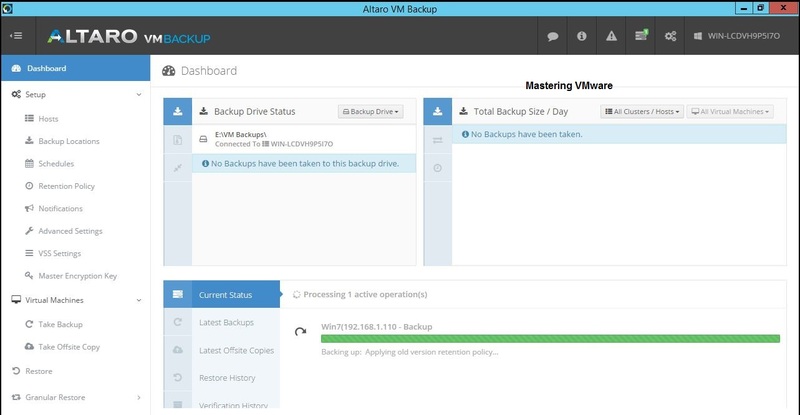 How to Replicate VM using vSphere Replication ?